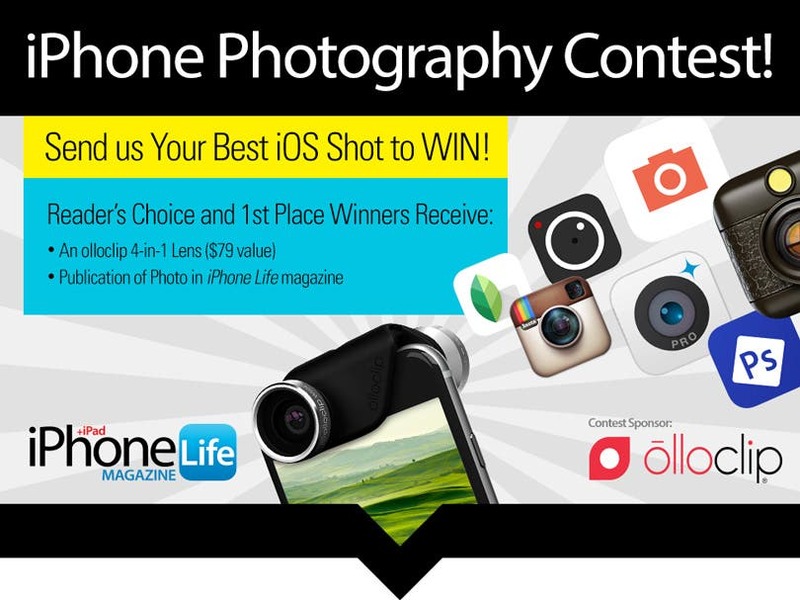 Grab your iPhone, iPad, or iPod touch and get ready to win the iPhone Life magazine iPhone Photography Contest! Enter your best iOS device photography in our Facebook contest and vote on the best photos. Readers Choice and 1st Place winner will win an olloclip 4-in-1 lens ($79 value). The top 10 photos will be featured in an upcoming issue of iPhone Life magazine. Note: All photos must be taken AND edited with an iOS device using only iOS apps (no Android photos allowed!). All photos must meet editorial standards. Want to get regular news and updates from iPhone Life?